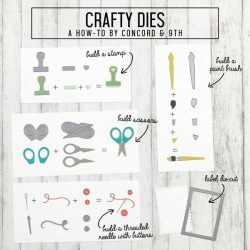 Crafty Dies by Concord & 9th. 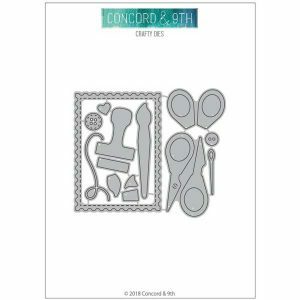 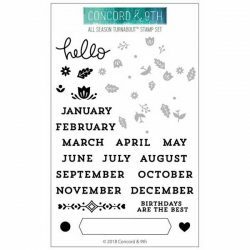 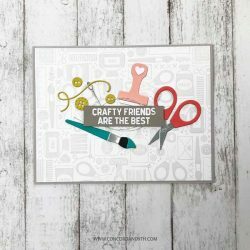 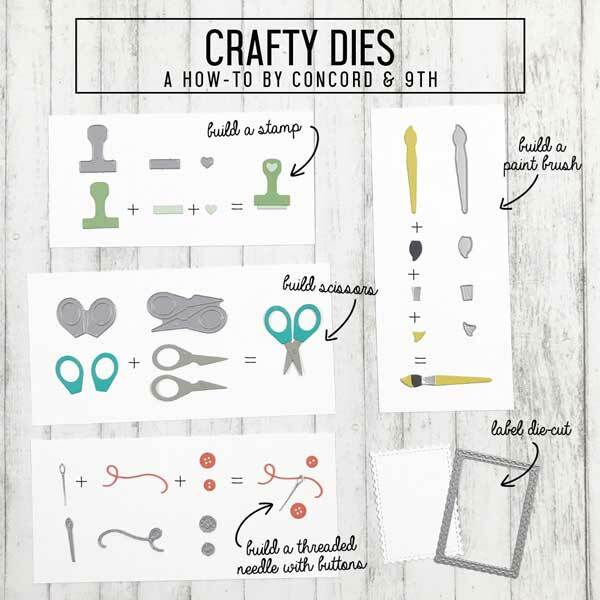 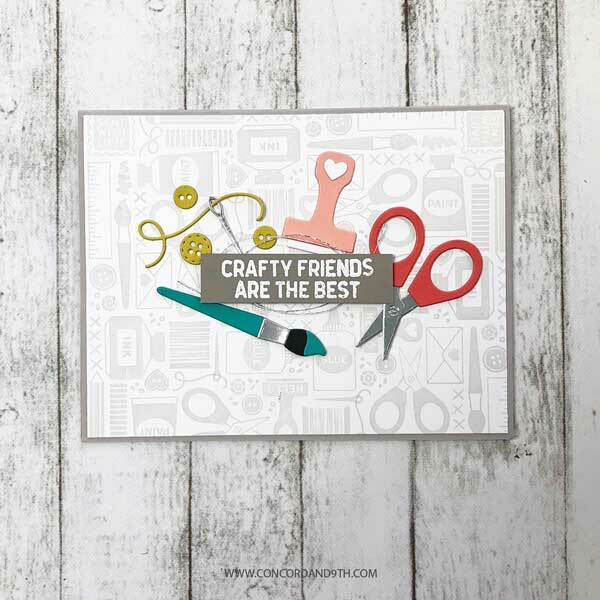 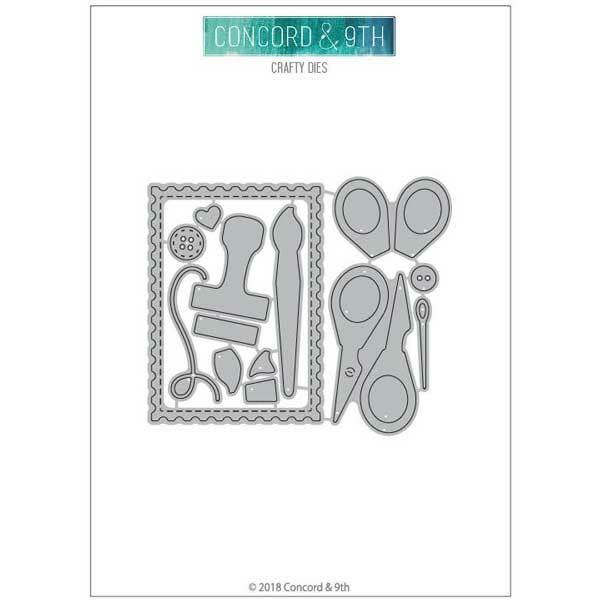 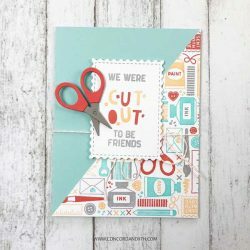 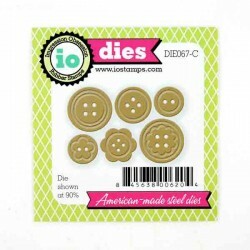 This is a 14 piece die set that coordinates with Crafty Turnabout™ stamp set. 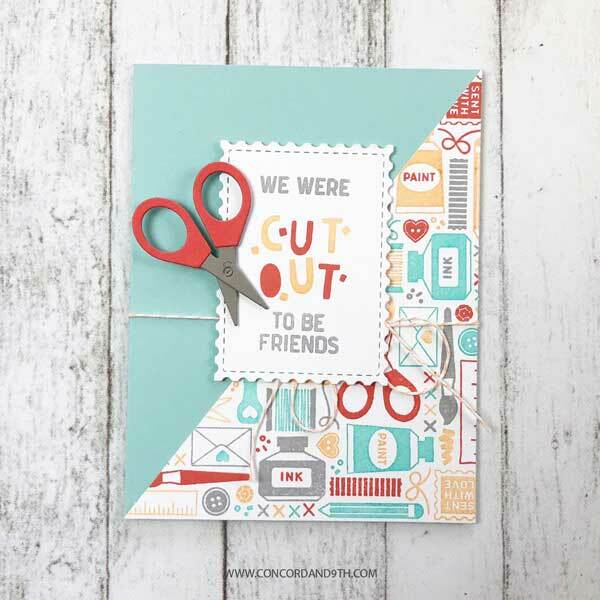 Create a layered wood-handled stamp, paint brush, scissors and even a threaded needle.